Remodeling A Kitchen Is Still One Of The Best Value-Enhancing Investments You Can Make In Your Home. Remodeling Magazine’s 2011-2012 Cost vs. Value Report says that even minor kitchen remodels return more than 72 percent of your investment at the time of resale. Yet the cost of even a ‘minor remodel’ doesn’t look that minor – $19,588 on average, according to the report. What if you don’t have that kind of budget? The good news is it’s possible to completely change the look and feel of your kitchen for less than $2,000 – by choosing meaningful upgrades that have the biggest cosmetic impact for the least cost. When deciding what changes will have the most value for your project, think about changes that will be most visible in the space. Gutting a kitchen and replacing every element can cost tens of thousands of dollars. Not many of us have that kind of renovation budget. Your money can be better spent – and saved – by replacing a few key elements that have the biggest visual impact. 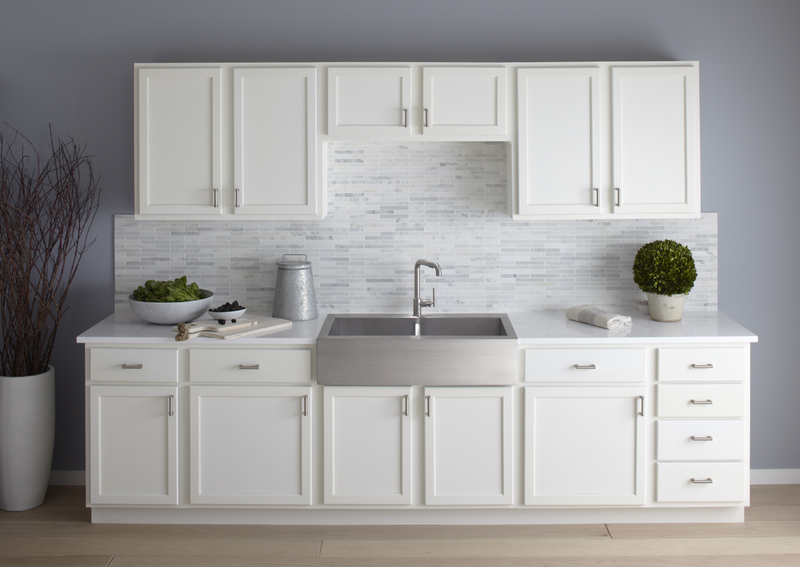 The stainless steel single-basin Vault models, and the double-basin Whitehaven enameled cast iron model, require no custom cabinetry – only the removal of the false drawer front you find beneath most traditional sinks. This makes these top-mount sinks ideal for homeowners looking to install a new sink that works with existing cabinetry and countertops for less than $1,000. Plus, the Whitehaven is available in 16 different colors, making it easy to turn your sink into a design focal point. 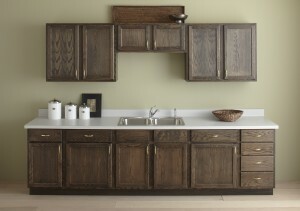 Cabinets and countertops are major design elements, and can be costly to replace completely. 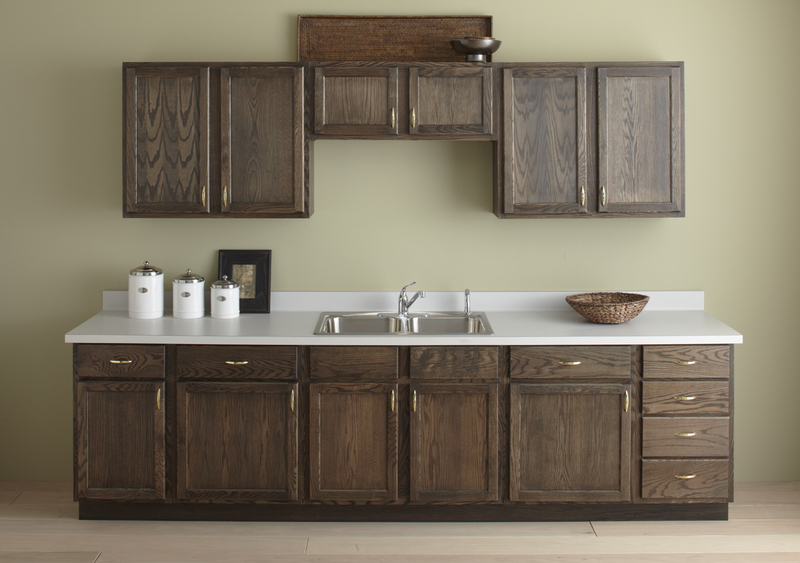 It’s often easier for a DIYer – and less costly – to refresh cabinets with a coat of paint or new varnish. Swapping out old, dated hardware for newer more modern styles is also a simple, low-cost way to give cabinets a facelift. The walls are another major design element that’s easy to give a new look. A fresh coat of paint will brighten the room, even if you’re just repainting the same color. You can find excellent interior wall paints for as little as $25 a gallon at your local home improvement store, and unless you have an enormous kitchen a gallon or two is usually enough to do the job. While you’re painting, don’t forget to do the ceiling and wood trim – you’ll be amazed at how much brighter your kitchen will look with fresh paint throughout. Adding something new to the kitchen – some element that didn’t exist before – can also enhance the cosmetic changes. Installing a backsplash is a simple way to introduce a new design element without spending a bundle. Having a professional install glass tile, ceramic or even tin can run up costs, so look into doing the job yourself. You’ll find plenty of guidance and advice, including demonstration videos, online. Or, contact your local home improvement store to see if they offer free (or nearly free) classes on how to install different types of tile.